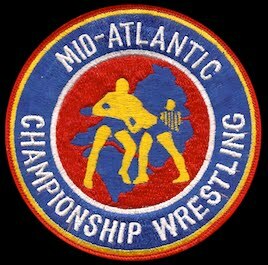 Gene and Ole Anderson were none too happy after the second filmed segment on the 1975 Mid-Atlantic Championship Wrestling Year-In-Review program showed their lone title defeat of the year. 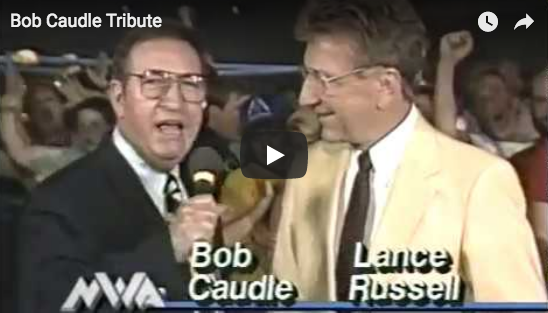 However, when announcer Bob Caudle placated them by telling the Andersons' that he would show a clip where Gene and Ole rebounded, Ole changed his tune. "I'm glad you're gonna show it to 'em because you're gonna see in this next film clip where we win these championship belts back and you're gonna find out as Paul Jones and Wahoo McDaniel did that by beating us...didn't make us scared, didn't make us run, didn't make us crawl around it only made us more determined to win these championship belts back," Ole explained. "And we worked and worked for weeks, trained hard, and you're gonna see the results of that training in this next film clip," the younger Anderson continued." Caudle then exclaimed, "Another great match fans!" 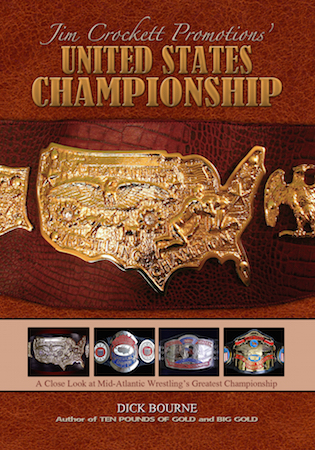 At this point, a film clip of the World Tag Team Title bout from June 11, 1975 in the WRAL TV studios between the newly crowned champions Paul Jones and Wahoo McDaniel and the Anderson Brothers was shown. 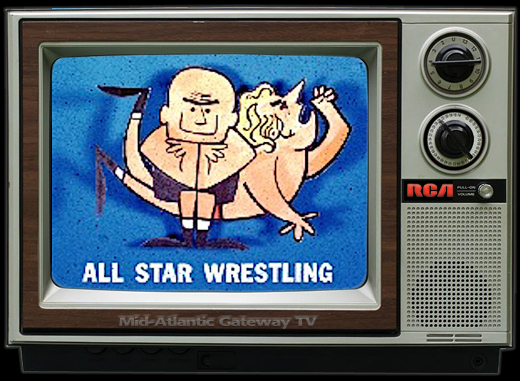 What wasn't shown was the guts of the match where Gene and Ole controlled and double teamed Paul Jones unmercifully, with Jones being tantalizingly close to a tag from Wahoo but barely missing his life-line on numerous occasions. The film clip began just after Paul miraculously tagged Wahoo in after taking a tremendous beating. 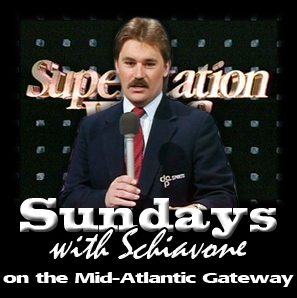 The studio audience roared throughout unlike anything I heard before or after on a Mid-Atlantic Championship Wrestling TV show. "There's an Indian on the war path...tommy-hawk chop and a slam," Caudle exuded. Bob continued, "Wahoo McDaniel...who was almost in tears could not wait to get in the ring, slamming Gene Anderson to the mat. Again, the Andersons will change...big Ole goes down from a big chop. He's gonna chop him right in half! Ole Anderson is down from another chop!" David Crockett then yelled over the boisterous crowd, "He's bleeding...he's bleeding from those chops!!!" Ole was clearly bleeding, and the crowd's frenzy seemed to pick up with the blood flow. An animated Caudle concurred, "He's cut him above the eye and there you see the eye...and David he's bleeding heavily above the eye! He is really bleeding!!" The film skips ahead with Caudle describing, "And now here's Gene Anderson face down, flat in the corner, as Paul Jones comes charging in after him. And right now Paul Jones and Wahoo McDaniel have come alive, they've got a second wind." For an instant, it appeared that the good guys had captured a quick pinfall on Gene as Caudle commented, "Whoa, what was it, a count of two?" 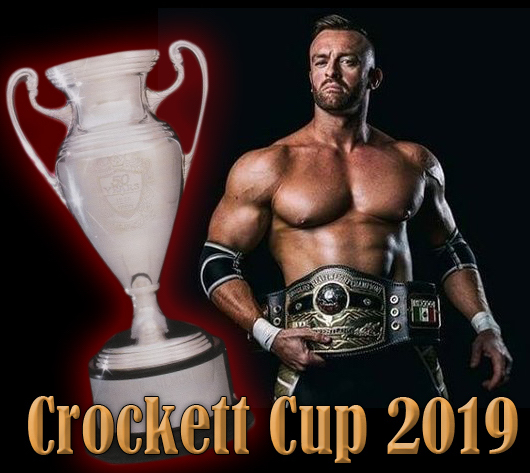 Crockett confirmed, "Ole Anderson got there for the save." Bob concurred, "Ole got in just in time for the save!" But the elder Anderson was still in dire straits and Crockett was loving it and observed, "Gene Anderson's completely out of breath, and the Indian goes to work on him!" Caudle chimed in, "Wahoo McDaniel, with a big tommy-hawk chop! Ole's gotta go down!" David agreed, "He can't take much more!" Gene seemed to be ripe for the picking again, but was able to get his foot over the ropes before a three-count ended it! Crockett gleefully hollered, "Gene Anderson is completely exhausted, completely exhausted... hanging over the ropes, hanging there!" 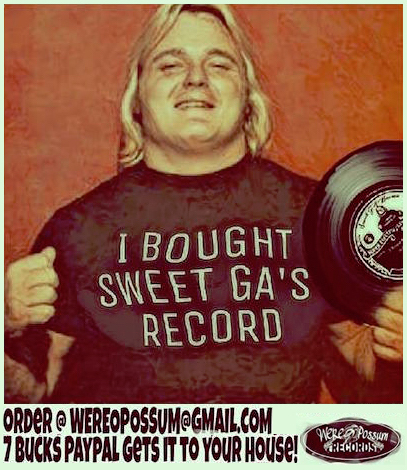 Caudle then called Gene's next near-pin, "Now Paul Jones covers him again, and again he's too near the ropes. They just can't get him out in the center of the ring. Wahoo McDaniel....another big tommy-hawk chop!" Crockett added, "Tremendous chop!!" At this juncture, David noticed some strange goings-on. Crockett bellowed, "Gene Anderson's yelling something to Ole!!" 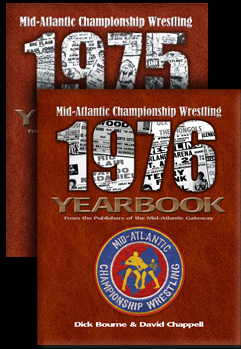 At this very instant, Bob Caudle announced one of the most vicious and memorable acts in Mid-Atlantic Championship Wrestling history exclaiming, "Wahoo...slammed into the head...he and Gene Anderson butted heads...and he's gonna be counted out!!!" A disbelieving David Crockett who just saw Ole Anderson slam his brother's head into Wahoo's head ranted, "We have new champions, Gene and Ole Anderson, but how can, how can Ole Anderson do that?!? Gene Anderson, Gene Anderson is out on the floor...he's out cold!!!" 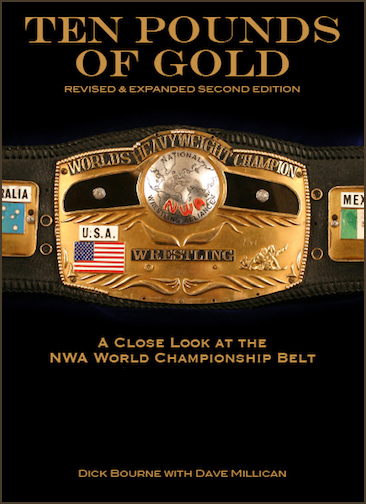 The fact that the NWA World Tag Team Titles had changed hands was almost an afterthought to the viciousness that Ole had just carried out. As Caudle tried to collect himself he summarized for the fans, "Wahoo was slammed into the head...he and Gene Anderson collided! Gene was outside of the ring, the two head-butted as they came together. Wahoo is out in the ring and Gene Anderson is out on the floor, and referee Sonny Fargo counted Wahoo out!" Crockett, who had not collected himself in the least bemoaned, "But how can Ole Anderson sacrifice his brother like that?!? Gene Anderson's not moving...HE'S OUT COLD!!!" Caudle confirmed, "Out cold as a cucumber!" 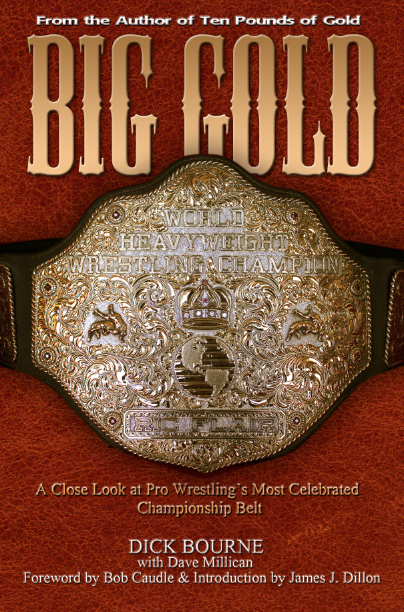 Caudle concluded the film clip noting that Ole was true to his word that the Andersons' would do anything to regain the World Tag Team Titles. 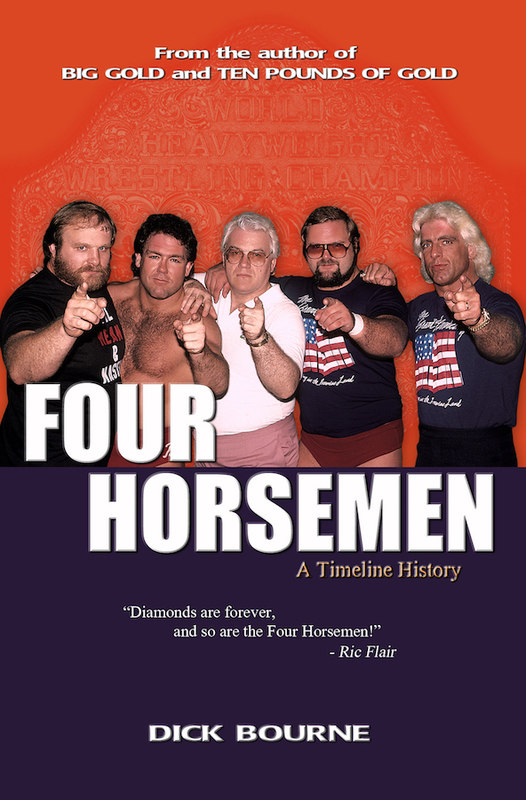 Bob reflected, "He had said earlier that the Andersons' would do ANYTHING, ANYTHING, to win those belts and there's a good example of just what they did." While the 1975 Year-In-Review TV show did not provide any more Anderson Brothers highlights, it is fair to say that Gene and Ole's greatest year continued in dominating fashion after the "Supreme Sacrifice" victory on June 11th. 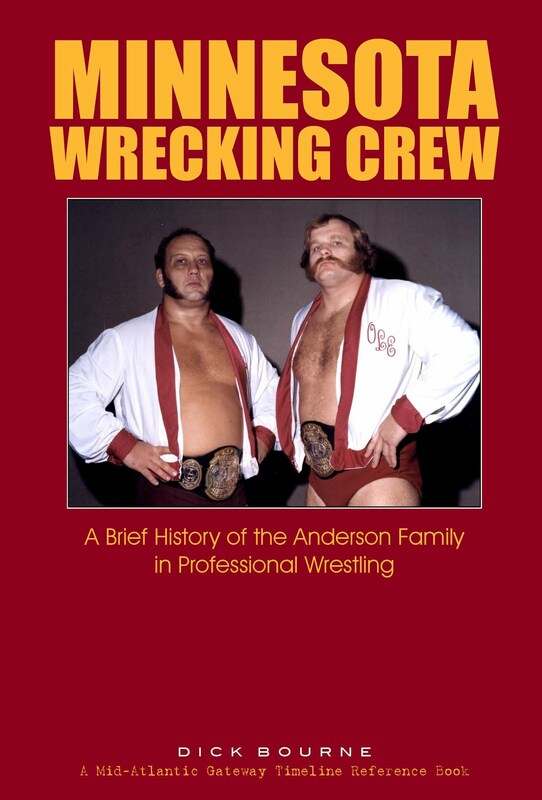 In fact, the only real "hiccup" the Andersons' experienced for the remainder of 1975 was in the very same WRAL TV studios on September 17th when Gene and Ole suffered a non-title loss to the upstart duo of Steve Keirn and Tiger Conway. The Andersons' rebounded from that defeat emphatically to cement 1975 as, without a doubt, their greatest year!